Twitch.tv/Pokemon — for the Pokémon Video Game matches (Ultra Sun & Ultra Moon). Commentators include Sebri Ernst, Markus Stadter, Labhaoisa Cromie, and Adam Dorricott. Twitch.tv/PokemonTCG — for the Pokémon Trading Card Game matches. Commentators include Kyle “Pooka” Sucevich, Nicholas Pearce, Jamie Serhan, and Joe Bernard. Twitch.tv/PokkenTournament — for the Pokkén Tournament DX matches. Commentators include Michael “H2” Graf, Evan “Wonderchef” Hashimoto, and Solomon “SolCalibre” Richard-Croffie. All official broadcasts will be available in English only, but will feature play-by-play analyses from the team of commentators for the respective games and should make for a good show if you’re unable to attend in person. Due to the time zone difference, these streams will take place quite early in the morning for those interested in watching in the Americas, but they should be entertaining to watch nonetheless. 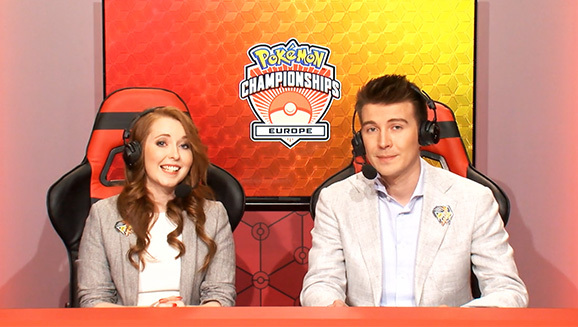 You can find out more information about the 2019 Pokémon Europe International Championships on the official website.